John E. Weyss was born in Vienna, Austria, in 1820 and emigrated to New York City in 1848. Trained as an illustrator, Weyss accompanied the government's Mexican Boundary Survey (1849-1855), under the direction of U.S. Army topographical engineer Maj. William Hemsley Emory, who later commanded the VI Corps, Army of the Potomac. Working as a civilian artist for the army, Weyss contributed many illustrations to Emory's report published 1857-1859. In addition, Weyss developed surveying skills and was credited as an authority on 11 of the report's maps. Weyss "drew a series of outline sketches that portrayed the entire length of the boundary line, so that even if the stone markers should be removed, some idea of their location would remain." (Goetzmann, Army Exploration, 205) Emory's chief assistant during the expedition was Lt. Nathaniel Michler of the Topographical Engineers, who worked closely with Weyss and continued as his patron throughout their careers. With the start of the Civil War, Weyss was working for the state of Kentucky as a civil engineer. He received a commission as major and "aide-de-camp" from the Governor. Due to his considerable prewar experience, Weyss was detailed to the staff of Capt. Nathaniel Michler, chief topographical engineer in the Army of the Ohio. He surveyed maps of the vicinity of Shiloh, April 8-15, 1862, and Corinth and Iuka from April 8 until June 6, 1862 (Atlas 13:1 and 14:3). Michler reported that "John E. Weiss, commissioned by the Governor of the State of Kentucky, served as my principal assistant." Weyss moved with Capt. Michler to General Rosecrans staff for the Department of the Cumberland in December 1862. Michler and Weyss worked on a series of maps of the Battle of Stones River for General Rosecrans in early 1863 that showed the positions of troops over the course of the three-day battle. Capt. Michler was relieved of his staff position with Rosecrans in May 1863 by Capt. William E. Merrill and then transferred to the Army of the Potomac, as head of the topographic department. Weyss accompanied him. 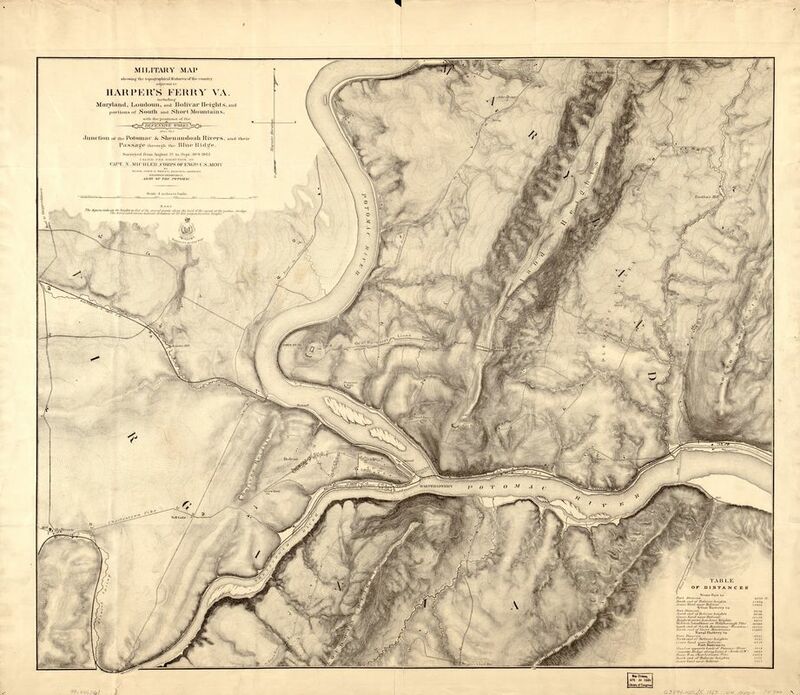 As one of his first duties, Weyss surveyed the vicinity of Harpers Ferry, Virginia, from August 3-September, 1863, and produced a highly detailed map of very complex topography. LC cw0700000. "Military map showing the topographical features of the country adjacent to Harper's Ferry, Va.; including Maryland, Loudoun, and Bolivar Heights, and portions of South and Short Mountains, with the positions of the defensive works, also the junction of the Potomac & Shenandoah Rivers, and their passage through the Blue Ridge," by Major John E. Weyss, Principal Assistant, Engineer Department, Army of the Potomac. Weyss was responsible for much of the day-to-day detailed mapping at Petersburg during the siege. Weyss served under the direction of Michler as principal surveyor during the postwar battlefield surveys in Virginia (1865-1867) and is credited in the atlas, Military maps illustrating the operations of the armies of the Potomac & James, May 4th 1864 to April 9th 1865, published in 1869. In the 1870s, Weyss accompanied a survey expedition led by Capt. George M. Wheeler of the U.S. Army Corps of Engineers, which was one of the most important surveys of the American West. 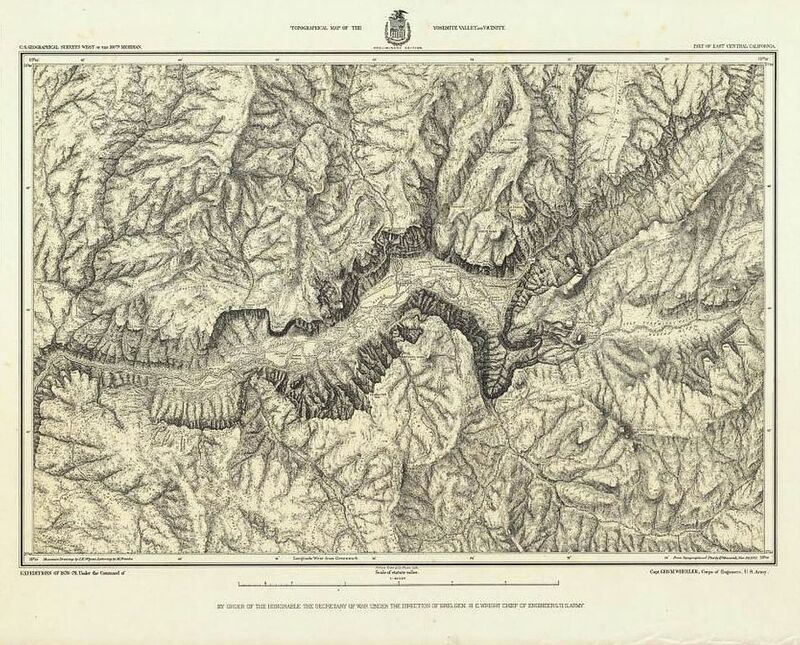 He was credited on maps and illustrations that accompanied the Wheeler's report “West of the 100th Meridian of Longitude.” Weyss continued his association with the Army Corps of Engineers and the U.S. Geographical Survey for forty years until his resignation in 188?. Weyss died on June 4, 1903, and is buried in Oak Hill Cemetery in Washington, DC. He was a mason (George C. Whiting Lodge No. 22, Georgetown).